New mum Natasha Bate, like so many of us, scoured the internet for ideas when dreaming up her nursery plans for her first baby, little Oliver. But that’s where the similarity ends, because when she couldn’t find what she wanted, she started her own business and designed it instead. 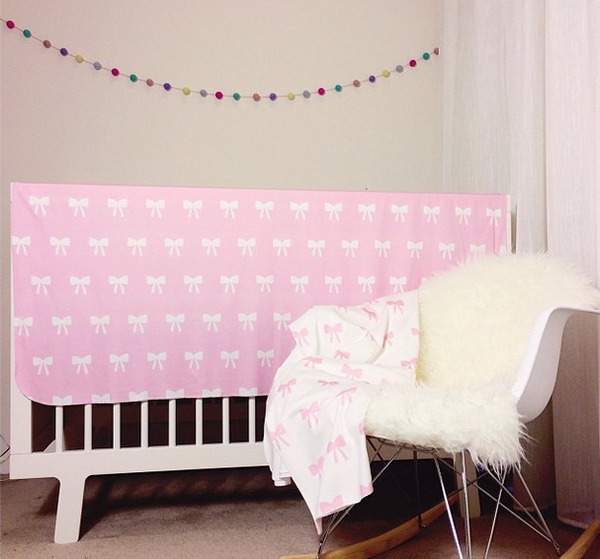 Now she’s helping the rest of us create dream nursery spaces too. 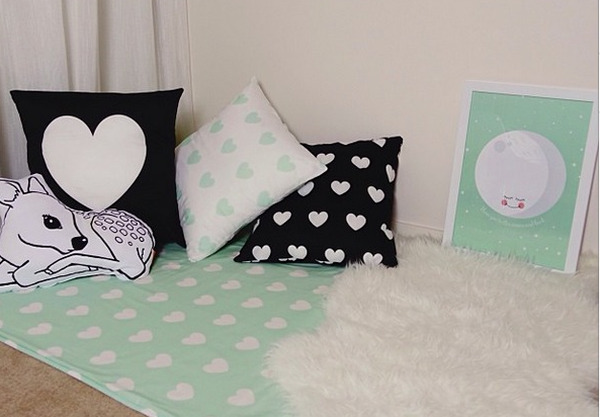 The business Natasha started is Kleababy – an online source for quality modern pieces for children’s rooms. 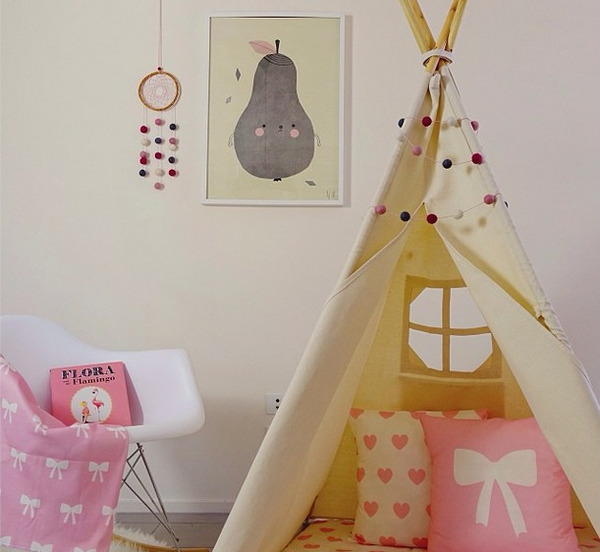 Not only is it home to the most delightful teepees and plenty of staple items that every room needs, they’ll even work with you to turn your nursery into something special. When Natasha was pregnant and searching for inspiration, she struggled to find modern gender neutral fabrics that would be just right for the nursery she had in mind. 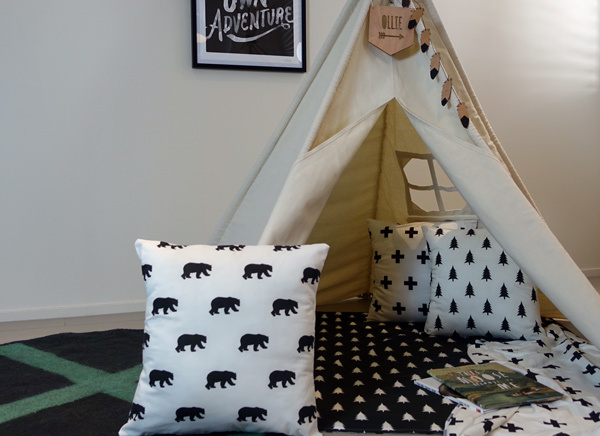 She knew the room needed to be restful, but also the kind of play space that would inspire her child’s imagination. But how to solve such a problem? Easy! She just designed an entire range of fabrics on her own. While you pick your mouth off the floor at the idea of doing all that with a new baby, head over to Spoonflower where you can see the range she came up with. 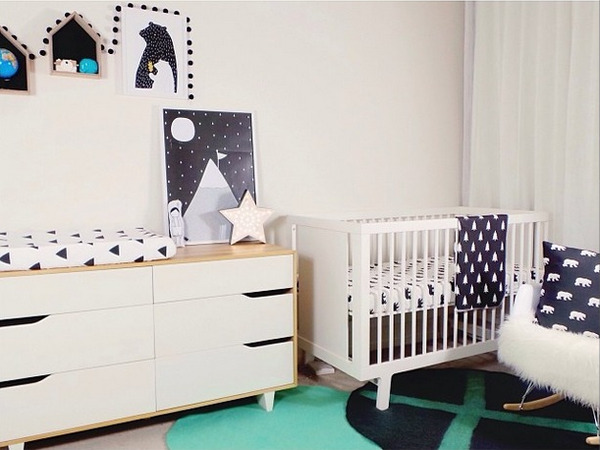 It’s completely on trend, with lots of monochrome, mint, yellow and peach, and a Scandinavian feel which is completely at home in the modern nursery space. 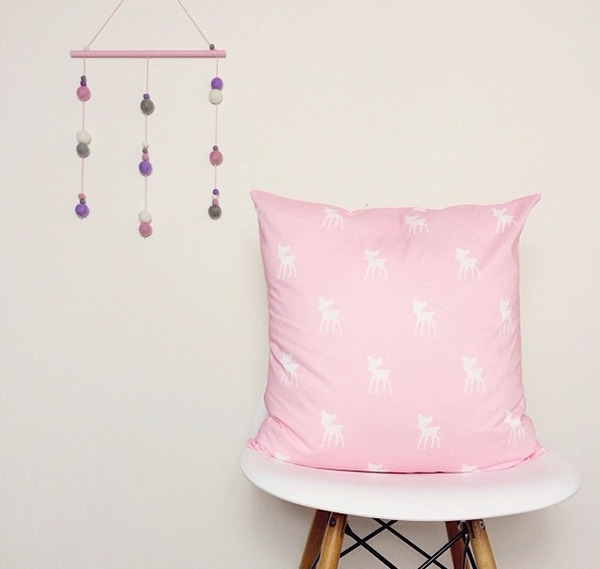 The current range of products at Kleababy includes bedding and linens (cot sheets, covers for change tables, quilts), decorative accessories like dreamcatchers and garland mobiles, and statement pieces like large playmats and cushions. 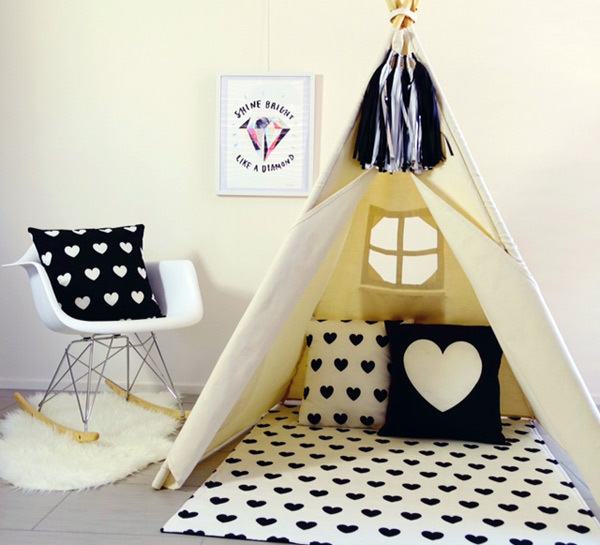 As well as these, Kleababy also sell teepees in two different sizes, that make a perfect decor statement in the nursery while providing the ideal space for play, quiet time or even naps. The current range of fabrics focus around either a woodland feel (trees, bears, arrows) or a restful space (clouds and raindrops). While there are some ready-to-ship items in the most popular designs, almost everything that Kleababy produces is custom printed just for you, and made exactly to the measurements you specify. I think this is the element of their service that really makes Kleababy stand out from the crowd – it’s easy to see that Natasha and her team really love helping people make their ideas come together. So now you really can become your own nursery designer, even if, like most of us, you aren’t up to the challenge of designing your own fabric (and I can’t even begin to think how a person does that)! Whether you see what you want straight away, or decide to get in touch with Natasha and her team to talk about colour and design, the choice is yours. You can see all of their current range and get an idea for how it could work in your space at Kleababy.